If you’re a single parent, you likely did not plan on becoming one. Even though your life looks different than you imagined, you can make the most of it—and of your kids’ lives, as well. You can be a successful single parent. In 1984, inside a trailer behind Frazer United Methodist Church, Faith Radio signed on the air. It had been nearly four years since a group of people realized a need to bring Christian radio broadcasting to Montgomery. After much prayer and persevering through numerous obstacles, the Federal Communications Commission finally granted their approval for a non-commercial radio license. 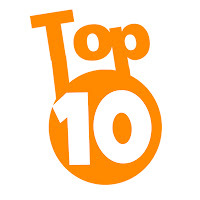 In keeping with my tradition on The Meeting House on Faith Radio and in this column, I present to you my “Top 10 Topics of 2012”, incorporating some of the principal issues impacting the Christian community during 2012. For several years, as I walked in my neighborhood, I saw a man who ran the same route I walked. Eventually, his pace slowed to a stumbling walk. Later, his steps were so labored I wondered if I should offer to get my car and drive him back to his house.